Pastor Enoch Adeboye is the General Overseer of The Redeemed Christian Church of God (RCCG). Although he wasn’t the founder of the church established in 1952, he has been an active contributor to its tremendous growth. Currently, the church has parishes in over 186 countries of the world. Enoch Adeboye was born Enoch Adejare Adeboye on 2 March 1942 in the village of Ifewara, Osun State, Nigeria. His parents were very poor and he was one of their four children. Adeboye’s father was an illiterate farmer, who did not believe in educating any of his children. In fact, the family was so poor that they could not afford to pay the school fees anyway. After his primary education, young Enoch was admitted into Ilesha Grammar School, Ilesha, Osun State, Western Nigeria in 1956, where he discovered his passion for science and mathematics. 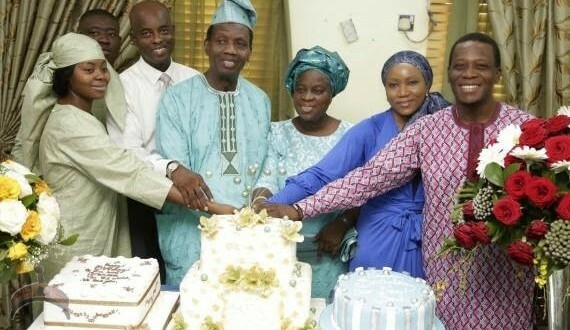 Already married by the early 1970s, Pastor Adeboye and his wife faced some problems having children. They had two children through cesarean section and the doctors had advised them against having more. But the couple desperately wanted more children and thus embarked on a spiritual journey to seek a solution. Enoch Adeboye and his wife Foluke came to the Redeemed Christian Church of God (RCCG) in 1973 which was then headed by the General Superintendent, Pastor Josiah Oluwafemi Akindayomi. While still on the search for more children, he became born-again Christian on 29 July 1973 and decided to dedicate his life to the service of God by becoming actively involved with the church. And in 1975 Enoch Adeboye was formally ordained a pastor. Initially, Enoch’s duty at the church was to translate Akindayomi’s sermons from the pastor’s native language Yoruba into English. Eventually, he started organizing Bible Study meetings, crusades, revivals, outreaches and the evangelistic programs known as the Congress which proved to be very successful. Impressed by Pastor Adeboye’s dedication, Pa Akindayomi decided that he was the man meant to succeed him. In 1981, Akindayomi died and pastor Adeboye took over the leadership as the church’s General Overseer based on an instruction left by Akindayomi prior to his death. As the leader of the church, Pastor Adeboye has worked very hard to expand the church’s outreach and today the church has branches in 186 countries of the world, from Haiti to Germany, from India to the UK, and also in the US. 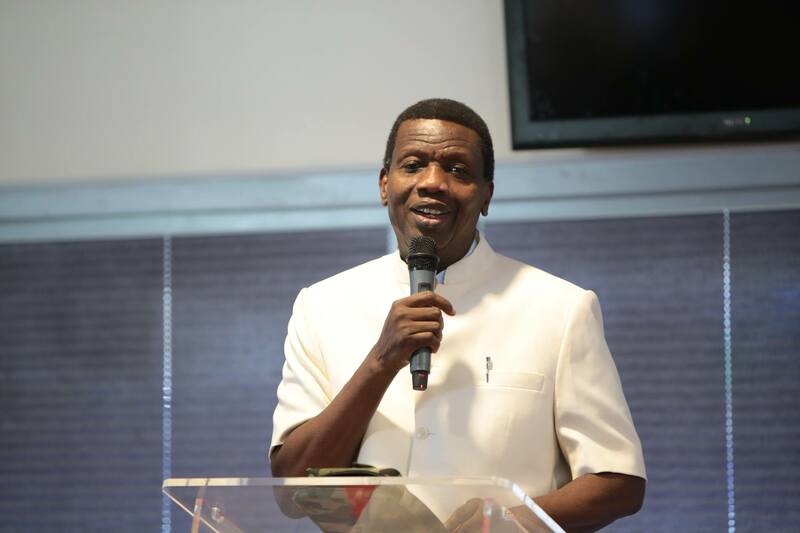 Pastor Enoch Adeboye is today considered to be one of the most influential pastors in Nigeria and the world. Pastor Enoch Adejare Adeboye got married to Foluke Adenike Adeboye in 1968 at the age of 25. He was a fresh graduate and so the couple had a very simple marriage ceremony. Together they have four children and several grandchildren. Pastor Adeboye is one of the richest pastors in the country as well as in the world. He owns high-end estates, cars, and even jets. According to reports, the man of God used to have older Gulfstream GIV with tail number N707EA that he used in spreading his missionary works around the world. However, he became tired of the jet and then added a newer model known as G550 luxury jet. The $65 million jrt was constructed in Savannah, Georgia State in the US. When it comes to cars, you don’t expect a pastor who can afford to fly in one of the most expensive jets not to ride in luxury cars. He has been spotted in different very expensive cars including Rolls Royce Phantom said to be bulletproof (with a starting price of $400,000), Land Rover Discovery ($80,00), Mercedez Benz Gelandewagen worth at least $100,000. Keep in mind that the pastor never admits to owning personal property or cars. Also, he has his own private airline, making him the second in the country to have such investment. Today, the annual RCCG Conventions which is hosted by Pastor Adeboye or Daddy G.O as he is fondly called by many in Nigeria, UK, Asia and the US has an average attendance of over 7 million (Nigeria), 50,000 (UK) and 10,000 (US). His television programs are broadcasted on a digital-cable channel called Open Heavens TV, Liveway TV and Satellite radio. He was awarded the Order of the Federal Republic of Nigeria by the Nigerian President Goodluck Jonathan in 2008. In 2009, Enoch Adeboye was named one of ‘The World’s Fifty Most Powerful People’ by Newsweek Magazine (USA). He is the recipient of several honorary degrees including an honorary doctorate degree from the University of Lagos and an honorary doctorate degree from the University of Nigeria, Nsukka. Enoch Adeboye was also presented with the Spiritual Pillar of Nigerian Sports, a National Sports Honor in 2010.